Across the country the surfacing of the deadly mixture of heroin and fentanyl seems to be becoming more and more common. Fentanyl is reported to be 100 times more potent than morphine and can be manufactured with relative ease. Heroin is being mixed with fentanyl to increase the drug's potency, often resulting in deadly outcomes. In many cases, addicts are unaware of the presence of fentanyl, ignorance which can quickly lead to an overdose and potential death. 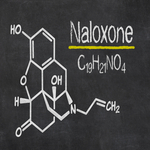 The rise in heroin use in the United States, in the wake of more than a decade long prescription opioid epidemic, has led many lawmakers to the realization that access to the life saving overdose reversal drug naloxone is critical. In a number of rural and urban areas of the country first responders have been equipped with naloxone kits, sold under the brand name Narcan ®. What’s more, lawmakers have begun allowing the miracle drug to be acquired without a prescription, allowing the family members of addicts' access to the medicine - saving even more lives. Unfortunately, in some of the areas hardest hit by the epidemic, naloxone access is still limited. Naloxone made the news last week, when more than 80 people overdosed on heroin that was likely laced with fentanyl, the Chicago Tribune reports. Dozens of lives were saved thanks to naloxone; however, despite Chicago leading the nation in emergency room visits linked to heroin, Chicago police officers do not carry naloxone kits. The Drug Enforcement Administration (DEA) reports that Chicago is a heroin distribution hub, according to the article. One in five people arrested in Cook County, Illinois test positive for heroin. A new state law is in the works that would allow people in Illinois to get naloxone without a prescription, following a model in place in 14 other states. "This is what the world would look like if it were well-protected by naloxone: Overdoses would still happen, but there would be a lack of fatalities," said Dan Bigg, whose Chicago Recovery Alliance outreach organization has given out naloxone to drug users for 18 years. "What we're seeing now is really a potentially amazing thing."